The Strange Case of the Weird Noise.! It had been going on for a long while, you know the sort of thing, that annoying noise, the one no one quite seems to know exactly the cause of, the noise that could result in much dismantling and greasing etc. and still be there. So it was with this noise, a loud "crack" from the front of the car somewhere, usually when driving over uneven surfaces slowly, so some sort of suspension noise was favourite. Previous attempts with grease in a few strategic places had seen it disappear for a short while, only to return, even louder and more annoying. 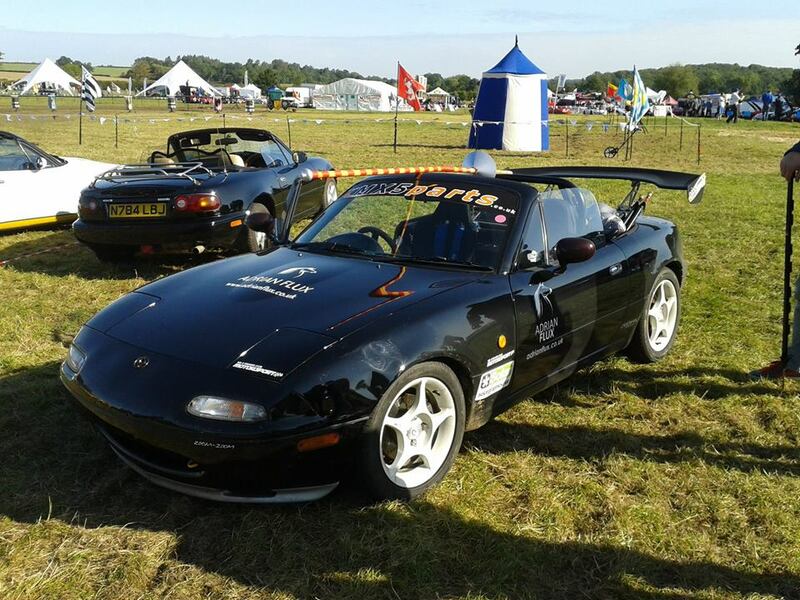 Project Merlot goes jousting at the National Rally at Kelmarsh Hall! Well, you had to be there really.. So it came to pass that the MX-5 Owners Club annual Blyton track weekend came around again, and of course we were there. Where else would we be? Project Merlot takes on the Evo Triangle. Many of you will be familiar with the Evo Triangle; a route in Wales often used by Evo Magazine for testing cars, as its simply a great driving route. 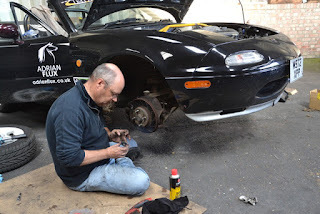 Following the MX-5 Owners Club Spring Rally Project Merlot went on its holidays with friends in North Wales and had the opportunity to take on several circuits of the 20 mile triangular loop. It did come as a bit of a shock however when we all joined the route for the first part of the run to by immediately accompanied by 3 police motorcyclists who looked like they may well dampen our enthusiasm. We pulled in for a pit stop at the Llyn Brenig visitor centre only to be followed in by 6 police bikers in total! 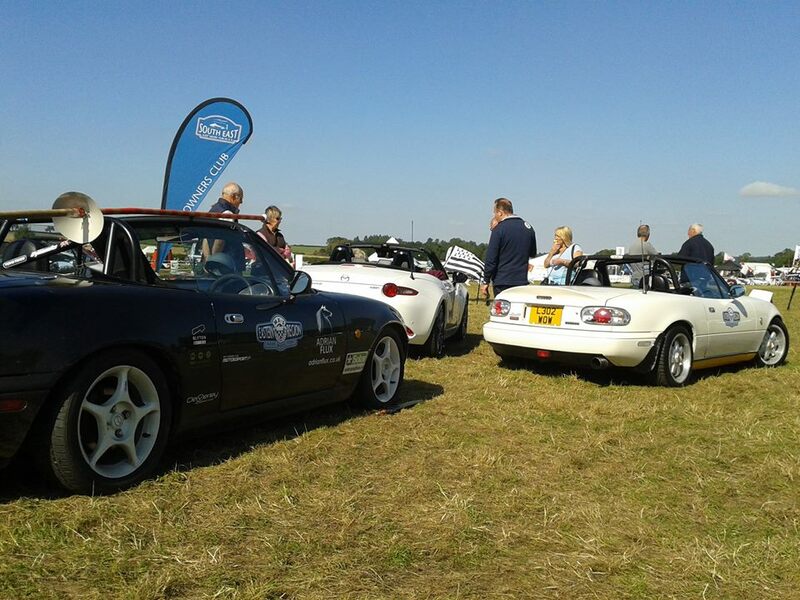 With 6 MX-5 drivers all eager to go for a serious blast we approached them to find out what they were up to; had they been alerted to the presence of us all and headed over to spoil our fun? No, it turned out, they were on a training run and their presence was coincidental, in fact they even said they would prefer to be in the MX-5s rather than on the bikes.! If in North Wales, and if you want a good drive, give the Triangle a try, you won't be disappointed. 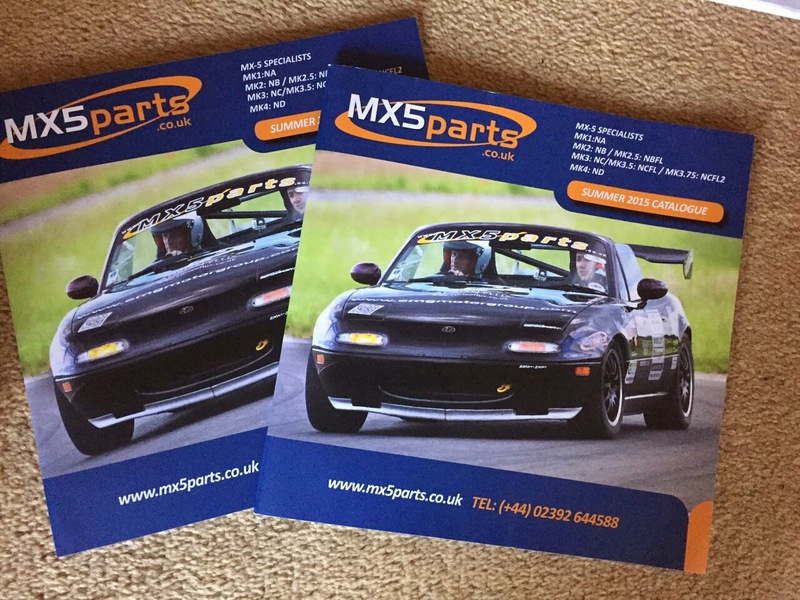 It's featured on the front of the MX-5 Owners Club magazine Soft Top Hardtop a few times, and of course it's no stranger to the internet but this must be Project Merlot's most widely distributed appearance so far; on the front cover of MX5Parts new catalogue. Featuring the car on track at Blyton Park Driving Centre and piloted by Roadster Robbie; get your copy of the catalogue here.